When appropriate, Kalsec® undertakes collaborative projects to develop customer-driven tailored blends that can include hop oils, natural flavors and hop bitterness. Many times these products are a Complete Post-Fermentation® (CPF®) solution, providing a desired balance that can include hop bitterness (sometimes light-stable), hop aroma and flavor, natural flavors, and a hop-derived foam retention product for a specific application. These are often proprietary blends that are highly customized products. The Kalsec® Hops team builds upon more than 30 years of experience to provide the brewing industry with insights in beverage processing and brewing. A collaboration of Applications, Analytical and Sensory technical experts enhances innovation and creates a synergistic environment for problem solving. The Kalsec® Hops Application team includes scientists in research and development, and brewing science. This team is equipped to duplicate the brewing process and is available to work with you to ensure the right formulation is delivered. The sensory specialists at Kalsec® are unsurpassed in their field. They use a variety of methods to evoke, measure, analyze and interpret responses to products as perceived through each of the five senses. Working closely with panels specifically trained in the most efficacious testing techniques, this team conducts descriptive analysis, difference testing, degree of difference testing and intensity scaling. 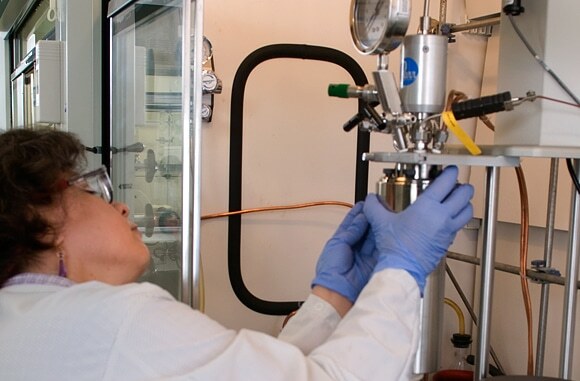 Kalsec® analytical chemists are responsible for the qualitative and quantitative evaluation of raw materials, ingredients and final products through each step of the development process. Using chemometrics, we are able to maximize the combination of the most advanced equipment and incomparable sensory skills to solve problems, refine and confirm the highest quality end result.